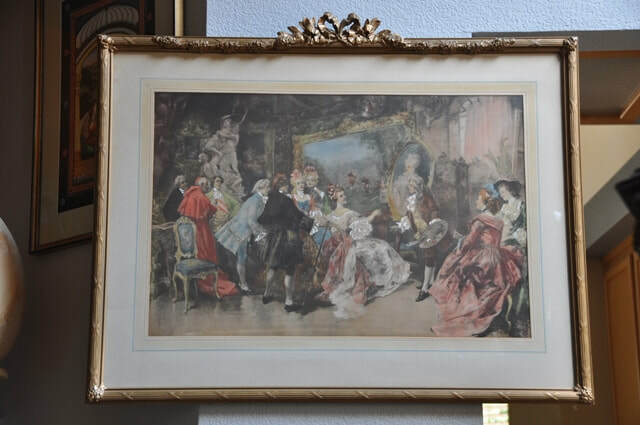 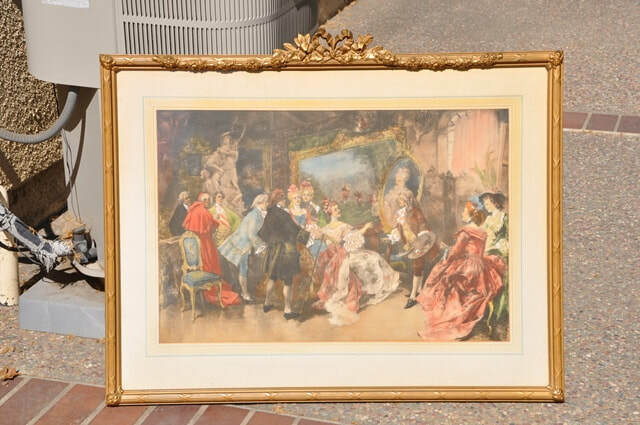 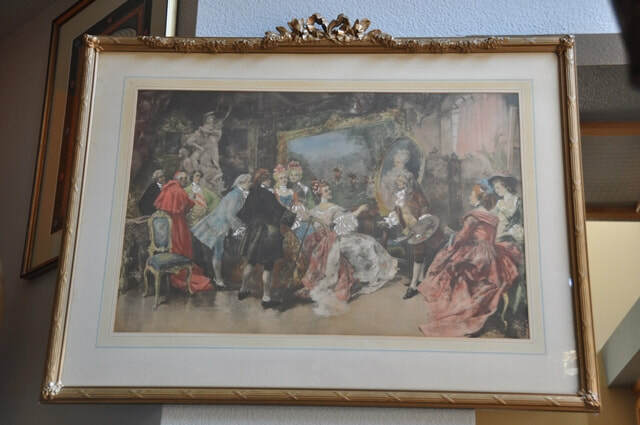 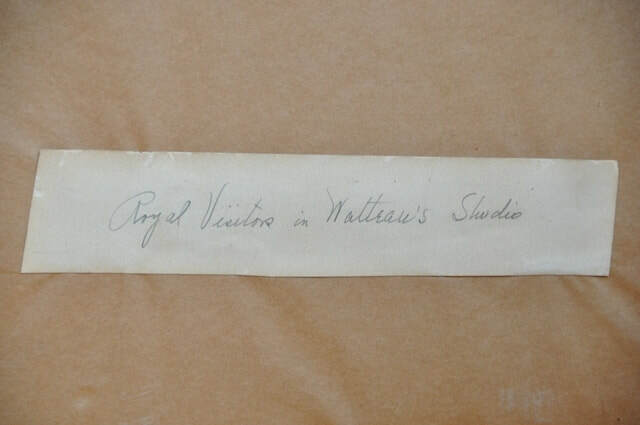 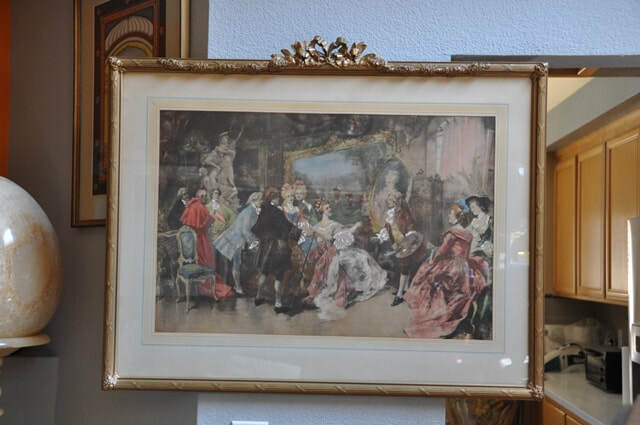 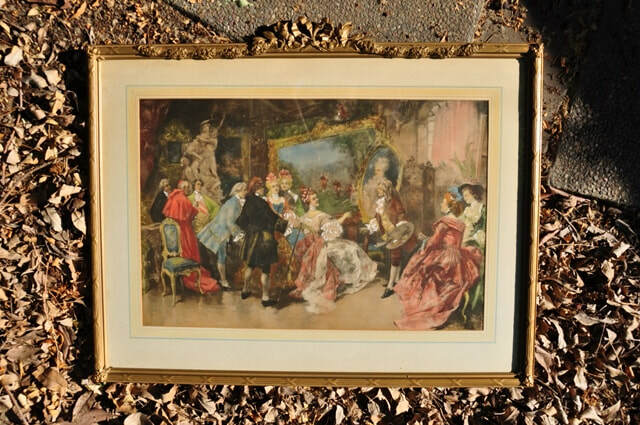 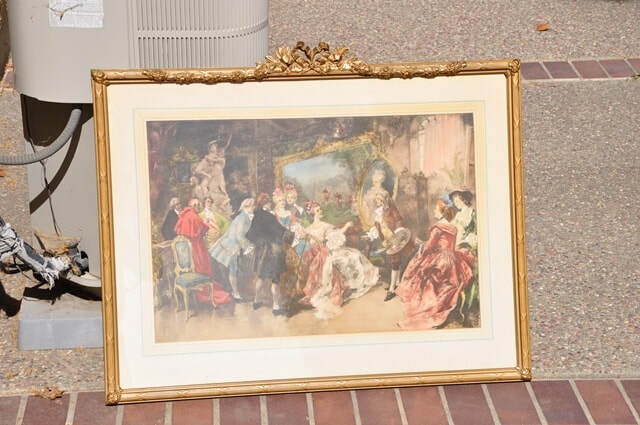 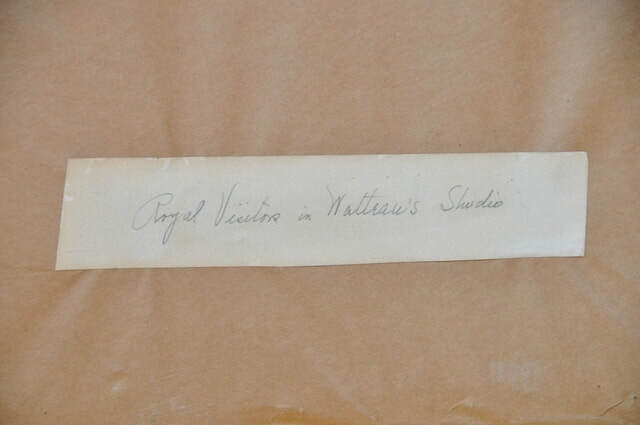 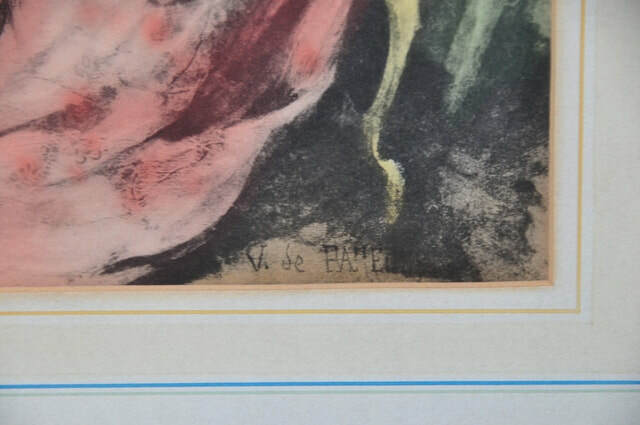 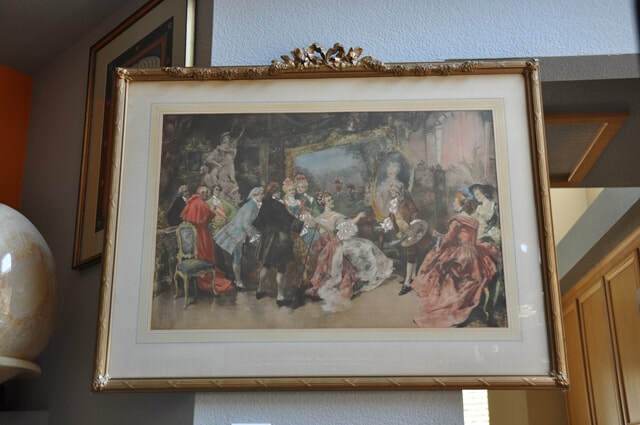 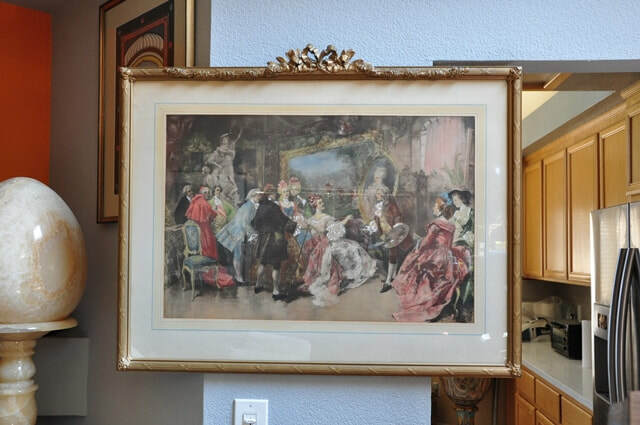 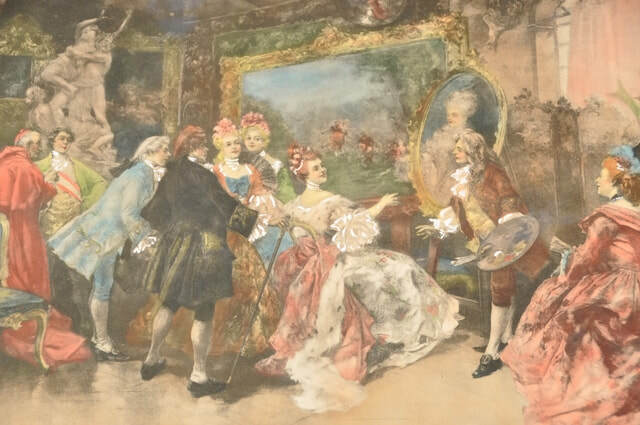 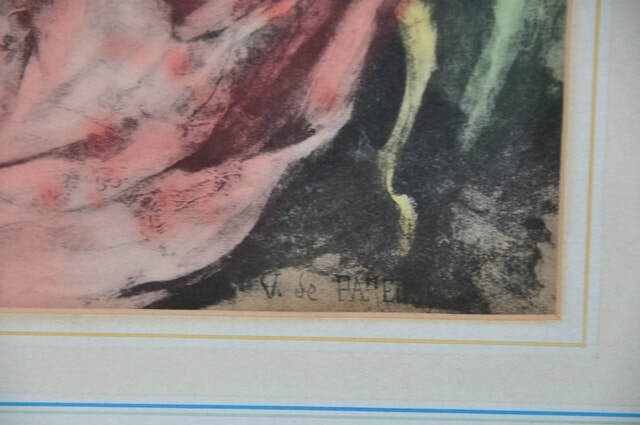 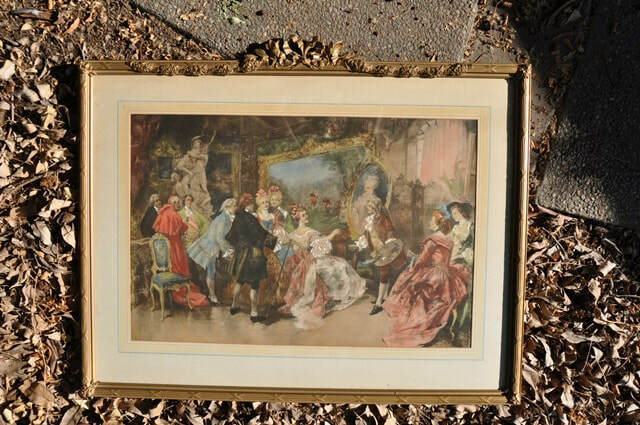 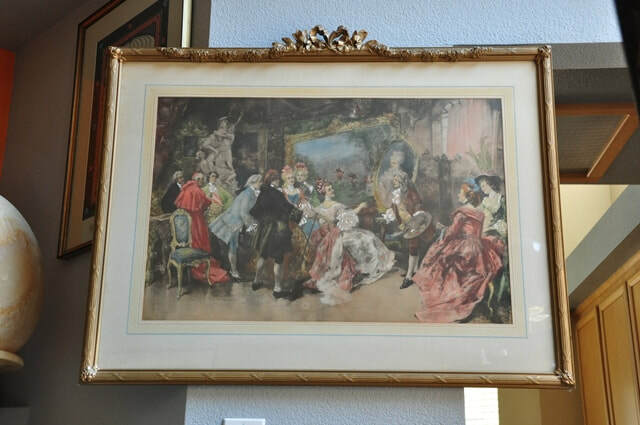 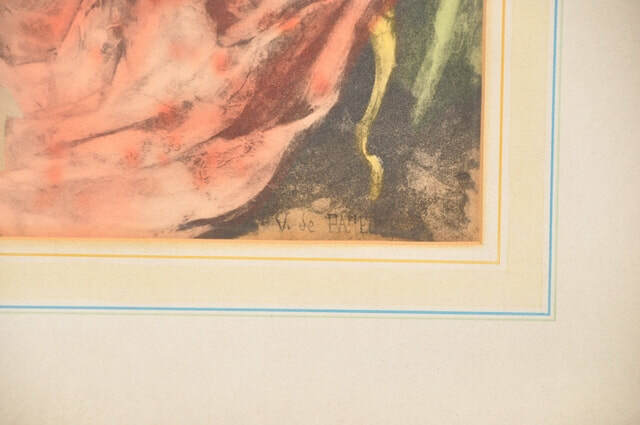 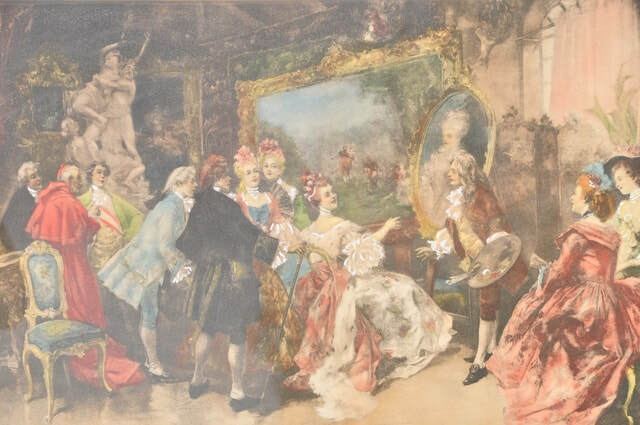 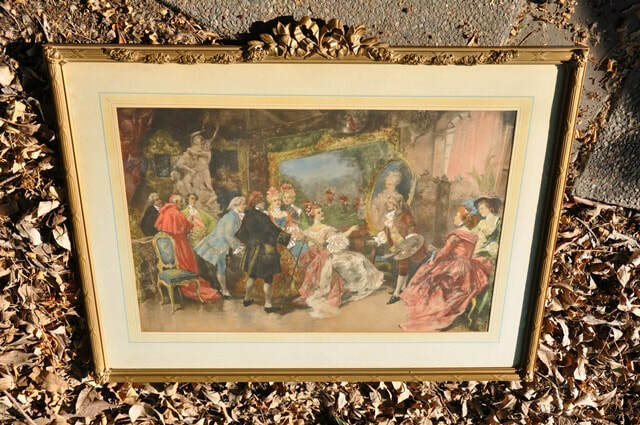 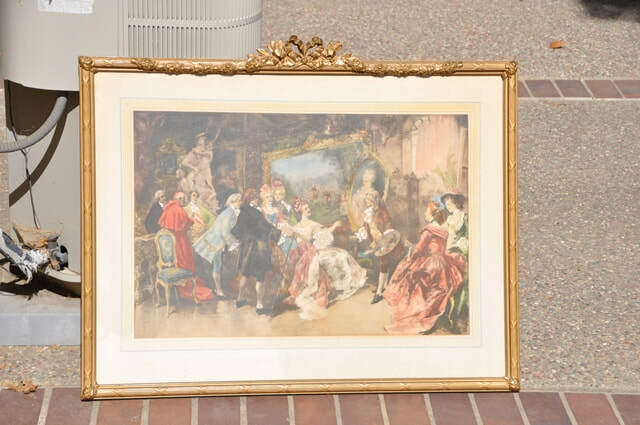 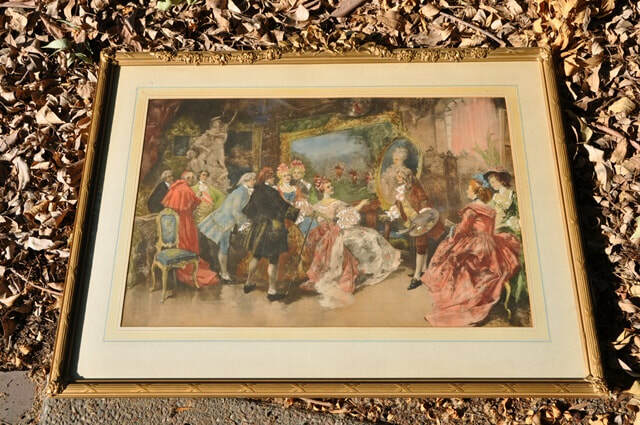 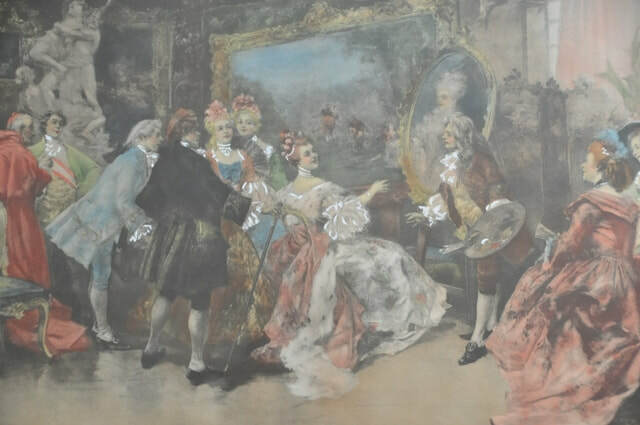 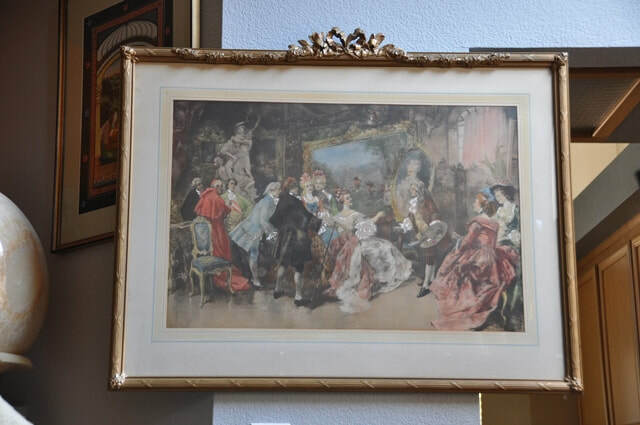 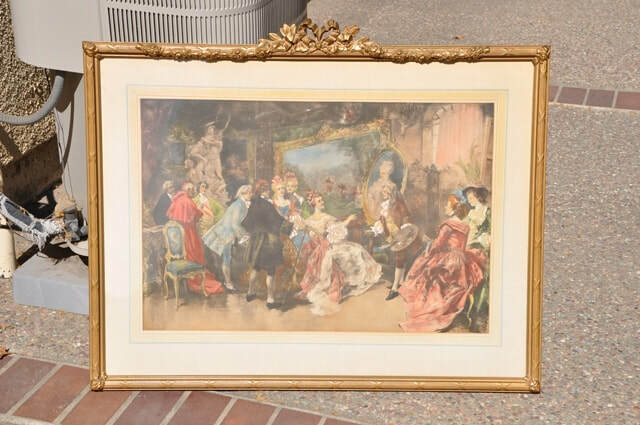 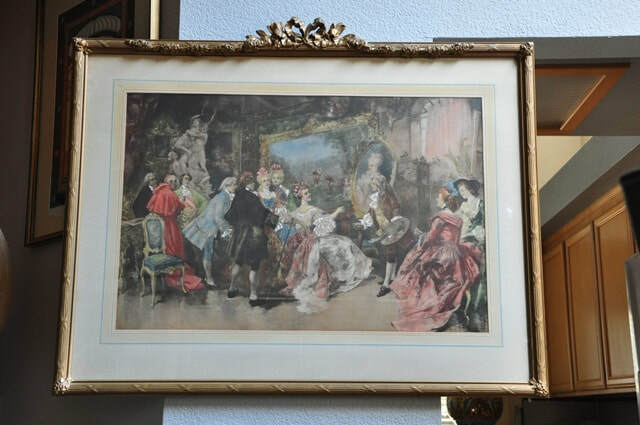 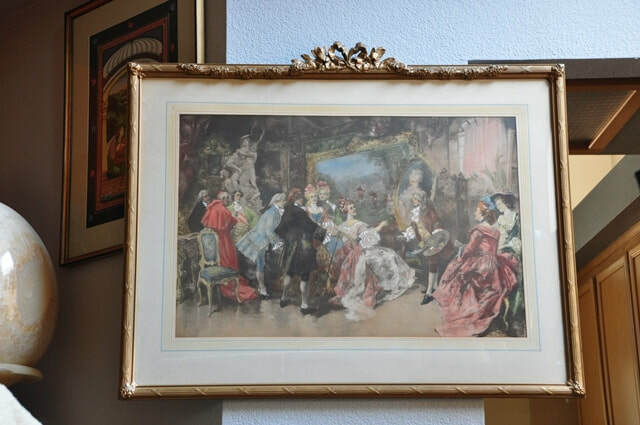 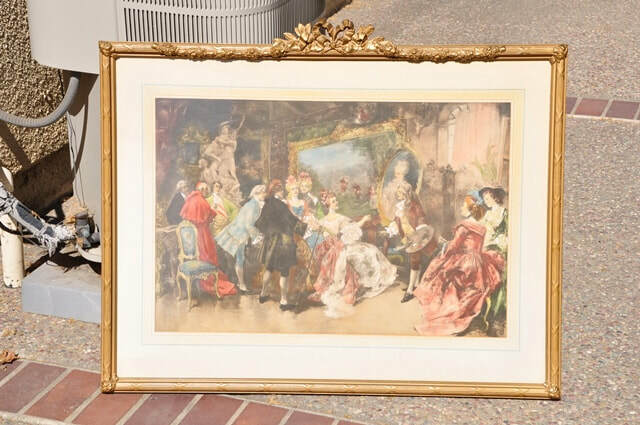 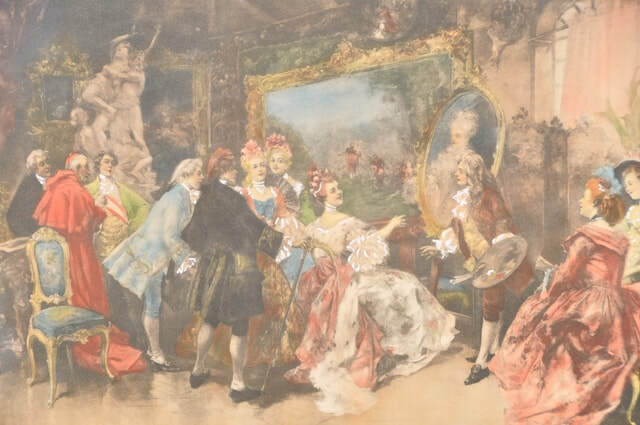 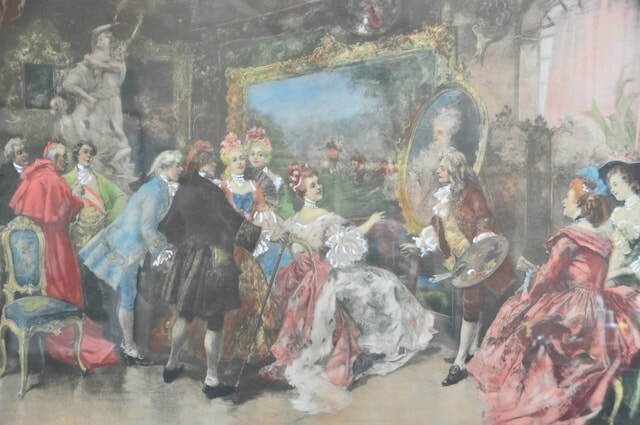 This is an antique hand colored lithograph after the original painting by the Spanish painter Vicente García de Paredes (1845 – 1903), titled Royal Visitors in Watteau’s Studio. 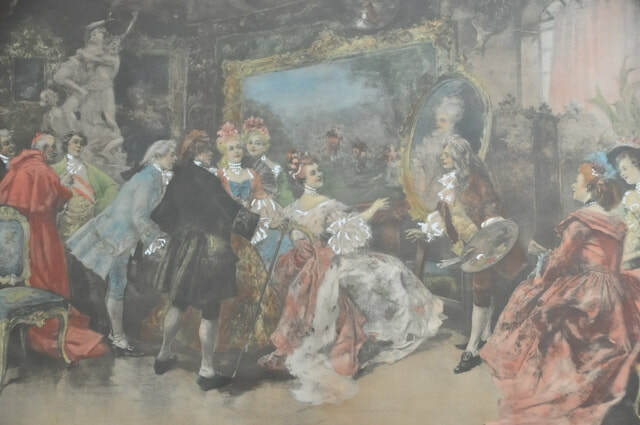 It depicts the interior of the studio of French painter Jean-Antoine Watteau (1684 – 1721) during a lively, insouciant visit from some of his most highly regarded clientele of the French bourgeoisie. 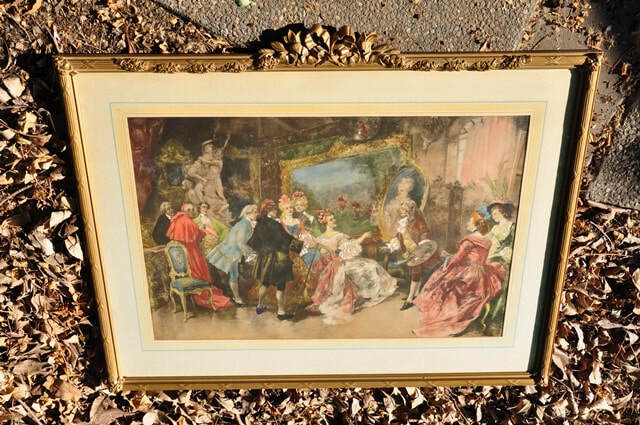 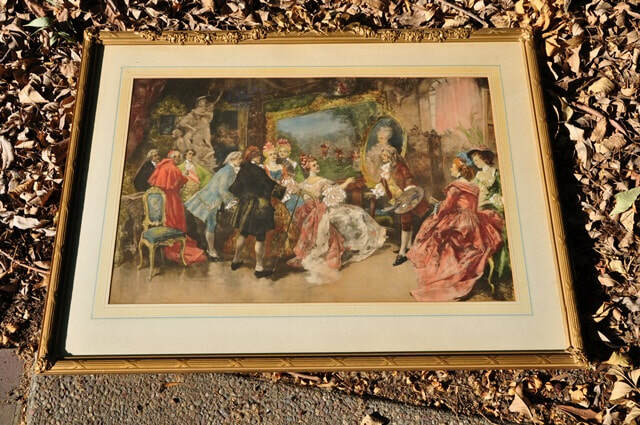 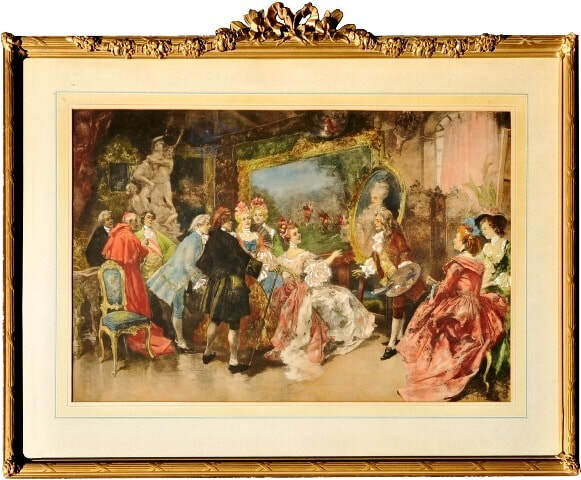 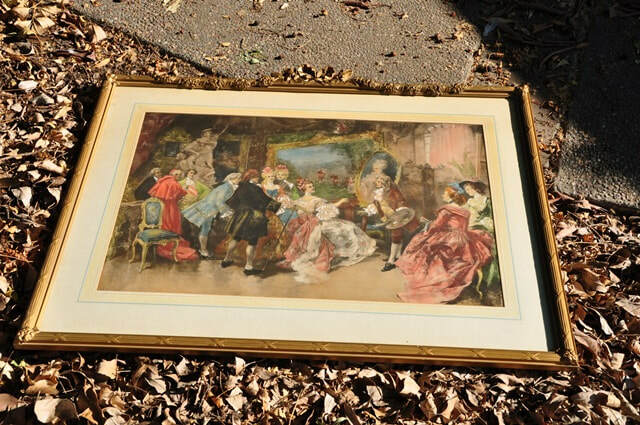 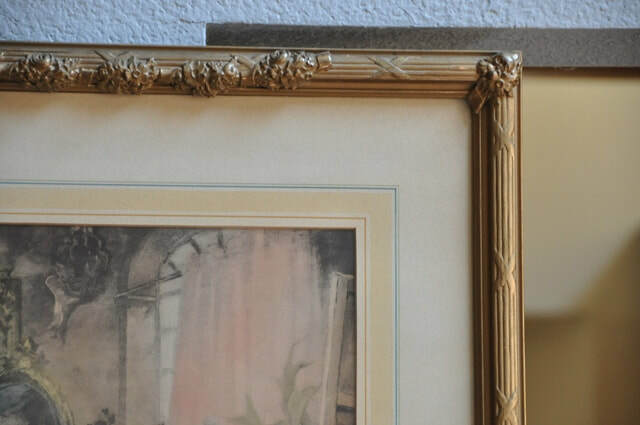 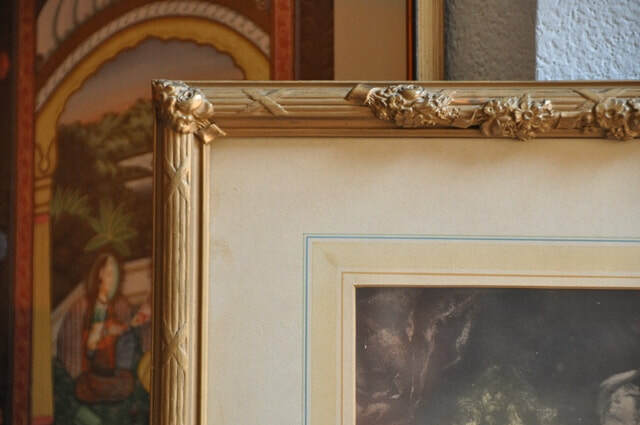 It is plate signed on the lower right and is framed in an ornate French Empire style frame with a beautiful bow and floral crown. 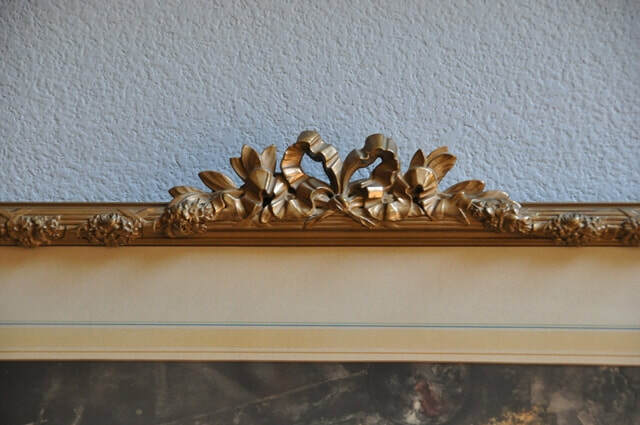 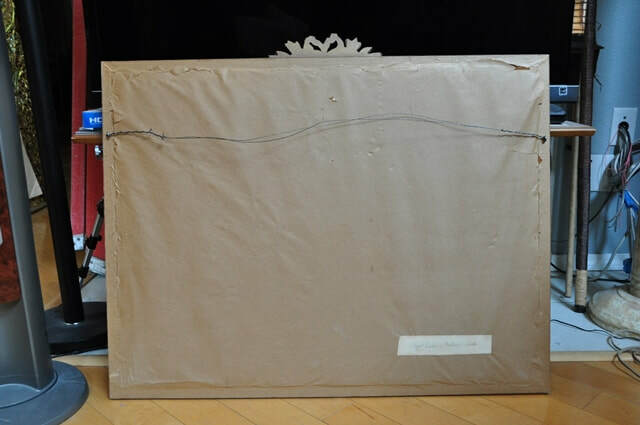 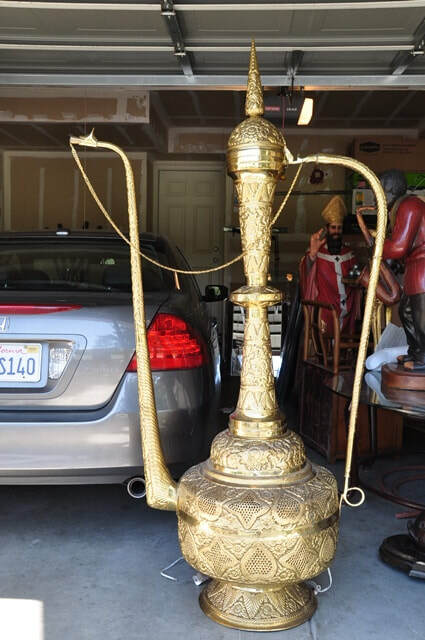 The frame is 38"x31-1/2" in size.